Embed OpenMeetings as Activity Module. Watch OpenMeetings Recordings directly in Moodle. Joomla! plugin to manage your conference rooms directly in Joomla!, you can add, edit and delete rooms. Furthermore you can insert secure Openmeetngs-Room-Links and Recordings-Links in your posts. 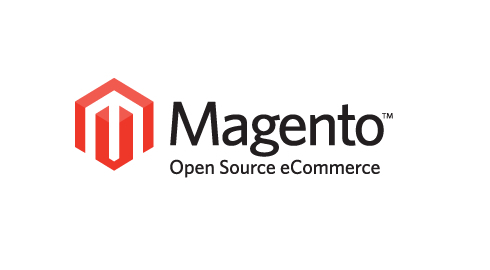 The plugin for Magento eCommerce enables you to manage your conference rooms directly in Magento Administration, you can add, edit and delete rooms. Customers that visit your website can directly enter conference rooms without the need to sign up. WordPress plugin provide the possibility to manage your conference rooms directly in wordpress, you can add, edit and delete rooms. Furthermore you can insert secure Openmeetings-Room-Links and Recordings-Links in your posts. There is a ready integration of OpenMeetings for Drupal available. OpenMeetings Web conference is a tool that allows Sakai users to hold web conference events using an OpenMeetings server. Check server status – indicates the connection status between the server and client. Room listings – list of available meetings.Creating a room – allows you to create a room and specify the room properties such as room name, room type, maximum number of users. Scheduling – set the dates & times for when a meeting will begin & finish, or for how often a meeting will take place over a fixed period of time. Accessing rooms – the possibility to set the permissions for users entering a room. The user will either be a moderator or a guest. The moderator will have more privileges over the guest. Notifications – To notify other Sakai users about video conference events you can add a calendar event, announce the video conference session, send e-mail notifications. Editing a room – change the properties of a room. Deleting rooms – remove a room. VoIP / Integration with Asterisk PBX. We offer integration with Asterisk to Call-In as well as Call-Out from a conference room to ordinary phone/mobile/SIP. There is no limitation on how many incoming or outgoing calls are possible per conference room. You can also Dial-In to the conference room using a fixed phone number. Our integration is based on Asterisk but we also offer integration for other VoIP platforms. Jira and Confluence. We provide intergation for Atlassian Jira and Atlassian Confluence enterprise wiki. You may contact us for an individual quote. There is a ready integration of OpenMeetings for the Learning Environment StudIP available. It was developed at Uni Trier and Data-Quest. The SugarCRM plugin enables you to manage your conference rooms directly in SugarCRM. You can add, edit and delete conference rooms. Furthermore you can send E-mail invitations to all attendees of the conference. The nature of those Directory Servers is that they are individual for every organization, so you have to modify, of course, at least the path to your user-base et cetera.To activate any of those configurations you have to login into OpenMeetings, goto Administration > Ldap. You can configure multiple domains or different user-paths in the Administration of OpenMeetings. We offer a services to integrate also in Novell or ApacheDS as well as MS AD and OpenLDAP. You can use OpenMeetings integrated into Facebook. There are two options. The user can purchase minutes and every time he enters a conference room a counter will start and his profile will be updated. It is not possible to cheat by accessing a Room with the same account at the same time. Sending Invitations or creating Scheduled Meetings via the Calendar is not possible for Pay-per-Minute Users. Otherwise those Users could send them self a invitation and in that way get unlimited access to meeting rooms. The other option for the user is to buy a Volume-Flatrate. Either 3 or 6 months unlimited access to the system. Users with Volume-Flatrate can also send Invitations and create meetings via the calendar. As soon as the user clicks Checkout with Paypal he will be processed to Paypal’s Website. Depending on his country he has different payment options. All countries have the major Credit Cards. For example on openmeetings.de => Users from Germany can also pay by direct debit, as the Paypal account on openmeetings.de is in German. The whole payment process is multi-lingual. The user will receive an Email as soon as the Payment has arrived at the Paypal account. Usually, this takes only 30-60 seconds. The email to the purchaser also contains the Invoice. Different Invoices are generated based on the country of the user. There is also a list of past and present transactions and the possibility to download invoices of past transactions in the user profile. ILIAS is a flexible and powerful open source learning management system. There is a Plugin for OpenMeetings available.